"Toward a Regulatory Regime for Competition in Space Transport"
in T. Zwaan ed. Space Law: View of the Future (Deventer: Kluwer Law and Taxation Publishers, 1988) at 57. "The Roles of Bilateral Agreements in Space Law"
Proceedings of the 31st Colloquium of the Law of Outer Space(国际外空法学会年刊) (Washington: American Institute of Aeronautics and Astronautics, 1989) at 172. 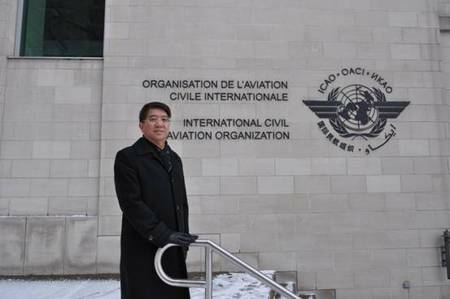 "Sharing Benefits of the Global Navigation Satellites System within the Framework of ICAO"
) Proceedings of the 39th Colloquium of the Law of Outer Space (国际外空法学会年刊) (Washington:American Institute of Aeronautics and Astronautics) at 202. "Development of the Long-term Legal Framework for the Global Navigation Satellite System"
Chinese Journal of International Law (Oxford), Volume 8, Number 1 (2009) 63-79. Seminar Proceedings, 11-12 April 2011, Organization for the Prohibition of Chemical Weapons, The Hague. 第7章作者 edited by P. Dempsey and R. Jakhu.